Kent Student Awards Nominations NOW OPEN! Nominations for the annual Kent Student Awards are now open! You can nominate an inspirational Kent student or group here. Nominations will be open until Friday 22nd March. There are 12 categories this year, including the new addition of: ‘Outstanding Contribution to Student Employment’ for students who’ve gone above and beyond their day to day duties, embraced the values and behaviours of their department and had a positive impact on those around them. 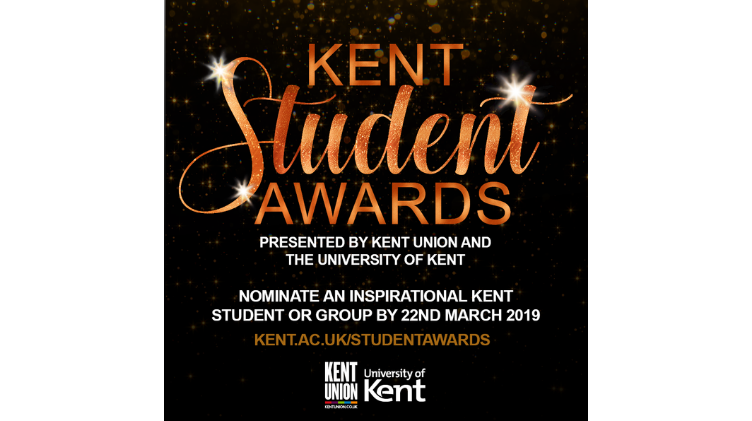 Last year, over 250 students were nominated in 11 categories, with the entire shortlist impressing the judges with their dedication to improving the Kent experience. This year’s winners will be announced at the gala dinner on Friday 31st May 2019.